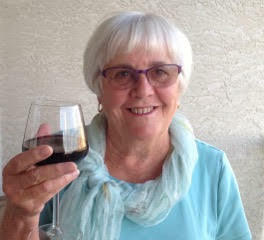 I became interested in my family’s genealogy in about 2000 and spent a lot of time being a detective, using the local Mormon research center and the scant information that, at that time, was available on the Internet. In 2003 my husband and I went to London, England, to do genealogical research at various registries and records offices there. I was trying to fill in some of the blanks, particularly regarding my Grandfather Vernon who I knew as my mother’s father. Much to my astonishment I discovered from his WW1 army records that my “grandfather” was out of the country when my mother was conceived! So who was my mother’s biological father? It certainly wasn’t who Mum or I thought he was! In the ten years after I discovered the information about my “grandfather” I found my grandparents’ history and early life in England and India was constantly on my sub-conscious mind. A story began to form and the characters began shouting for me to write this story. So began the journey of writing my first novel! I started writing in November 2013 and finished in August 2014. After what seemed a long, long journey the book was published in March 2016. This story was a work of fiction inspired by your grandparent's story. What parts of the story line are factual and where does your writer's voice take over the creative process? 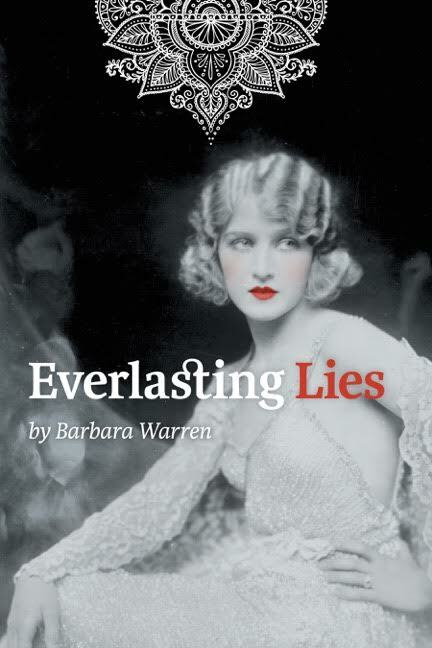 The early part of Everlasting Lies, which describes how Edina and Charles met, is factual. He was a lodger in the house belonging to Edina’s parents, the Paxtons. The description of Edina's family is supported by English census records and registries of births, marriages and deaths. The birth and early life of Charles Vernon, however, was a problem to verify. I know, from talking to him when I was a child and a teenager, that he had a brother Abraham and a sister Lily but the details of his years before he married my grandmother are definitely the results of listening to my creative voice. I was able to use information found in the English military records to describe Charles’s service in the Army in WW1, how he was sent to India as part of his convalescence from his many illnesses and the fact that he was loaned by the Army to an Indian coal-mining company. So those parts are accurate. According to the 1901 census, William Charlton lived next door to Edina and they were at school together. Their teenage love affair is imagined, although strange as it may sound, there seemed to be spirits sitting on my shoulder as I was writing and were either agreeing with what I had written or leading me elsewhere! The family’s journey from England to India is based on the shipping records of the SS Mantua and her ports of call. I imagined all the events that happened on board. The one exception to this is the description of my mother’s birth on board the SS Mantua, which was written up in the ship’s log. The family’s life in India is based on descriptions found in references to Indian history, although I created the day-to-day details. One strength of this novel is that the characters and places come alive. What research did you need to do on the locations and what was like for people in that era to bring this sense of reality? I did a huge amount of research on the locations in Everlasting Lies. I also used many of my own travel experiences to write about many events such as riding on elephants, their cross-continental train journey and their long ocean voyage. I am a huge fan of Janet Macleod Trotter who wrote books about Northern England and India, which, I know, influenced my writing. Everlasting Lies is my first book, which I started when I was 73! Once I decided to write the book the research and writing were intertwined. I worked every moment I had, and my first draft was over 110,000 words! There was no organization of time; I just worked. Part way through I decided I needed a content editor and was lucky enough to find Tanis Nessler. Marketing never entered my head until I started looking for a publisher, so that part of the process occurred after publication. After I decided to write the book it seemed as though I had a movie playing in my head and I just had to get the words I was hearing down ‘on paper’. It was a very exciting and rewarding experience….until I came to the third edit and then that was a chore! I find life enjoyable in many different ways. My husband and family are important and a joy to me. Meeting and helping people that are less fortunate than me have given me many enjoyable times. I enjoy all kinds of creativity. I was a drama major and have acted on stage and I love good conversation, which, I’m sure, helped me to write the dialogue in this novel. Other artistic outlets for me have been photography, drawing, painting, and designing both clothes and the interior of houses. I believe strongly in following my dreams be it travelling, helping others or writing a book. Are there any new books in the works that we can look forward to? I couldn't help laughing at this question. My readers, unknown and known, are asking for a sequel. They are asking me to take another leap into the world of creative writing. That’s very flattering and I appreciate their support. Certainly, I have been thinking about it but, at the moment, I am concentrating my time on marketing this first book.